Our team will repair your woodwork to keep it looking its best. At Prep-Rite Painting, we know how much a new paint job can transform a home or room. 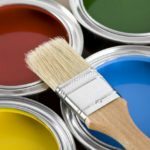 However, a paint job by itself may not be enough to achieve the results you’re looking for, especially if there are other issues in the space left unaddressed. A common stumbling block for home makeovers is failure to correct damage to the woodwork, including cabinets and molding. Wooden features like this tend to draw the eye, and trying to disguise their flaws by painting over them can end up looking sloppy. To help make your home’s transformation complete, our team offers wood repair services in addition to our paint work. We’ll see to it that your wood looks just right before we start painting. Before we begin work on any paint job, we at Prep-Rite Painting always perform a thorough inspection on all the woodwork in the room. We’ll take note of any places where wood repair may be needed, then present you with a detailed estimate for the repairs. Once you give the go-ahead, we’ll then make the necessary repairs, making sure they meet our high standards for workmanship, and earn your satisfaction. Then we’ll proceed with the paint job and finish giving your home its fresh new look. We at Prep-Rite Painting are highly experienced in our fields, and are proud to offer our expertise to the Raleigh, North Carolina community. You can rely on us for both high-quality paint work, and excellent wood repair service. If you have damaged woodwork, call our team to learn more about what our wood repair services can do for you. At Prep-Rite Painting, we offer wood repair services in Apex, Cary, Holly Springs, Fuquay Varina, Chapel Hill, and Raleigh North Carolina.